Pennsylvania Nordic Championships are this Sunday! Come join us this Sunday at Wilderness Lodge for the The Pennsylvania Nordic Championship races! Start off Super Bowl Sunday the right way with some fun competition on Wilderness Lodge's expertly prepared trail system! The races begin at 9 AM, so you'll have plenty of time to test your abilities against the region's best skiers before heading home to watch the big game! Wilderness Lodge has a ton of snow and expects that their deep base will survive this week's warm temperatures and rain. Cold temperatures will return on Wednesday to freeze things up, and state-of-the-art grooming equipment will rejuvenate the course well before race weekend. Right now, it looks like there will be fast granular conditions on Sunday! Everyone who participates in the races will be entered into a drawing for great prizes from Fischer, Road ID, Findley Lake Sporting Goods, and others. Go to SkiReg.com to register for the races, and for additional information including course maps, visit the 2016 Pennsylvania Nordic Championship page on our website. 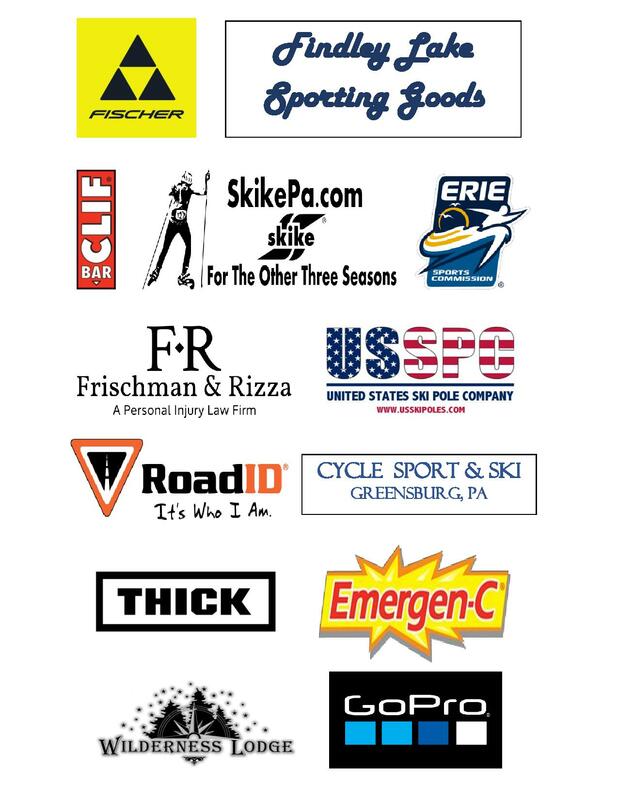 PACCSA thanks the following sponsors for assisting us with the 2016 Pennsylvania Nordic Championship Races: Clif Bar, Cycle Sport & Ski Greensburg, Emergen-C, The Erie Sports Commission, Findley Lake Sporting Goods, Fischer Sports, The Law Firm of Frischman & Rizza, GoPro, Road-ID, Skike PA, THICK Bikes Pittsburgh, U.S. Ski Pole Company, and Wilderness Lodge!